All players on the Meaningful Money Marketplace share the purpose of moving money to meaning, but they all contribute in different ways. Only if all parties work well together we can achieve maximum impact. MM2M wants to encourage everyone to create more connections and to work together in order to make more impact. 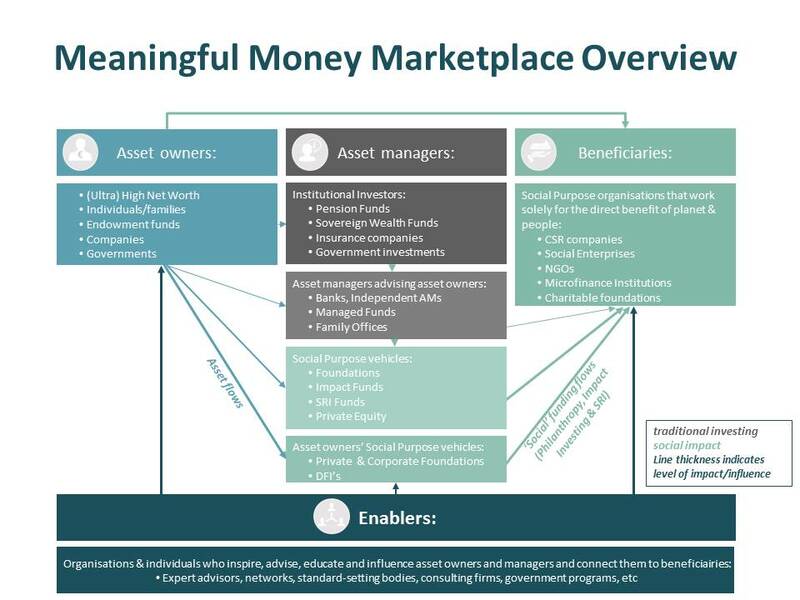 The Meaningful Money Marketplace overview does by no means reflect all the players active in the field, but it attempts to show the diversity and complexity of it.